N.B. – Please note Footy Doubles has been closed to new subscribers for the time being. We will update this page if it starts accepting new members again. Footy Doubles is, as the name suggests, a football tipping service which provides doubles to back across various world leagues. It comes from the reputable Betting Gods tipster stable. There is on average just one bet per day, although sometimes this means you will get two or three one day and then none the next. The trial finished with an excellent profit of 44 points, which represented a 44% increase in the bank when using a 100 point bank. After a little bit of a slow start it quickly moved into profit and stayed there for the remainder of the trial. It is notoriously difficult to make a profit in football so we are happy to have found a tipster who has passed a three month trial. And with a return on investment of 14%, which is very impressive in football terms, plus a solid strike rate of 48%, there is much to like about the service. Overall then we are happy to award Footy Doubles a PASSED rating and is one we will be continuing to monitor in the hope they can keep up the excellent results achieved during the trial. Ease of use: A pretty easy service to follow, with an average of one double per day. Tips are sent in the evening for matches the next day, so plenty of time to get the bets on. Availability of prices: We didn’t have any trouble getting the advised prices, although to get those you will need access to bookies like Marathonbet, 188Bet, Bet Stars etc who seem to offer better odds these days than the traditional bookies. Strike rate: The strike rate during the trial was 48%, so very solid and meaning nearly half the bets were winners. Advised Betting Bank: A 100 point bank was advised for the trial and that seems reasonable. Bear in mind though that staking is between 1 and 6 points, with the average being 2.7 points, so a little higher than your average footy service. Subscription costs: The costs to sign up are £1 for 30 days then £39.95 per month, £99.95 per quarter or £479.95 for a lifetime subscription. There is a real dearth of top quality football tipping services so we are always pleased to find a new one of promise. Footy Doubles fits that bill with a healthy 44 points of profit during our trial at a return on investment of over 14%. With strong results like those Footy Doubles is worthy of a PASSED rating is certainly one to consider adding to the portfolio. We will be keeping an eye on it to see if it can replicate those results over the long term. You can check out Footy Doubles here. Footy Doubles has been on a fantastic run since our last update, making an excellent 49 points over the last month. That means we are now 54 points up for the trial overall. It’s a very simple service to follow, with just one double per day so there is a lot to like about the service. They actually had seven winning doubles in a row recently, which is impressive stuff. Not much change for Footy Doubles since our last update, with 0 points lost or won in that time. That means we are still 5 points up for the trial overall. A beautifully simple service to follow, just one bet per day and then you are done. Anyway, hopefully we will have some positive movement to report at the time of our next update. A solid if unspectacular start to our trial of Footy Doubles, which is 5 points in profit so far after just over one month. As the name suggests, this service focuses on finding value double bets to be placed on the football. A wide variety of leagues are used – everything from China to the USA to all over Europe. A very simple service to follow then with just one bet per day and so far results have been in the right direction. With the start of the footy season just a couple of weeks away, it seems like a good time to start a trial of a new football tipster. The tipster in question is called Footy Doubles and comes from the reputable tipster platform Betting Gods. Footy Doubles is showing a decent return having been achieved to date, with a profit of 65 points since March of this year. That would equate to over £650 profit to £10 stakes. That has been achieved with a strike rate of bang on 50% – so exactly half the bets have been winners. The return on investment so far has been a healthy 13%, which is very respectable in football tipping where we expect a benchmark of around 10%. 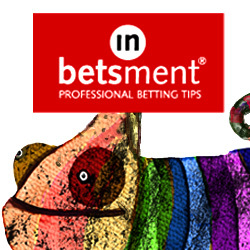 Interestingly, the service is not just about placing one double bet per day. Often there will be four selections per day, which you combine into six doubles. On other days there are three selections, which you combine into three doubles. The key thing is that all bets are doubles, that is the main feature of the betting advice. As with all Betting Gods services, the good news is that you can get a 30 day trial for just £1, which is a good way to test out the tips and see if they are for you. We will run our normal three month trial here and will update results here periodically as the trial progresses. In the meantime you can check out Footy Doubles here.